Hoist trolleys provide the connection between the lifting device and the bridge. The trolleys are designed for effortless movement along the bridge. 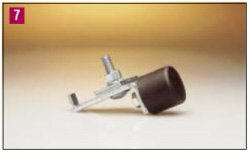 The stamped body fits most rigid hook or eye lifting devices. Wheels are tapered to match the 2° taper of the track. This reduces rolling resistance and wheel wear. Wheels contain ball bearings that are sealed and lubricated for life. Trolleys are designed to operate in temperatures from +5°F to +200°F. All trolleys meet or exceed the ANSI B30.11 specification for under hung bridge cranes. End trucks provide the connection between the bridge and runways. They are designed for effortless movement along the runway. Wheels are tapered to match the 2° taper of the track, which reduces rolling resistance and wheel wear. Wheels contain ball bearings that are sealed and lubricated for life. Two horizontal wheels center the end truck within the runway which prevents binding of the bridge. As a result, the position of the load on the bridge has little effect on the amount of force needed to move the bridge along the runway. Any slight runway track misalignment is taken up by the bridge floating in one end truck, while the other end truck is firmly clamped to the bridge. All end trucks meet or exceed the ANSI B30.11 specification for under hung bridge cranes. 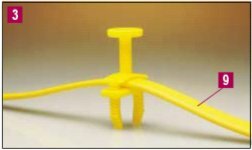 Festoon gliders are used to support flat cable along the runway and bridge, and they are standard on steel runways of 63 feet or less. No tools are required to attach the festooning to the gliders. 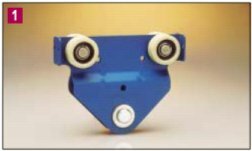 Festoon trolleys (optional) are used to support flat cable or air hose along the runway or bridge. The trolleys have four wheels and a pivoting festoon saddle support. They are ideally suited for long runways (greater than 63 feet) or with round cable or air hose. 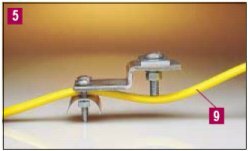 With runways greater than 63 feet or with an all aluminum system, festoon trolleys are standard. 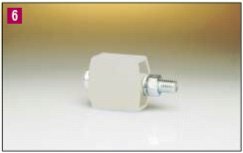 Special festoon trolleys for vacuum hose are also available. Festoon clamps anchor the festooning at the start of the runway and bridge. They also prevent the festoon gliders from exiting the track and they can provide a redundant stop for the end trucks and trolley. 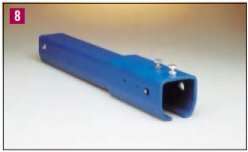 High-impact molded end stop bumpers are provided on all runways and bridges to prevent the end trucks and trolley from exiting the track. The bumpers are bolted to the track to physically limit the travel of the end truck and trolley. A universal bumper can be used as a secondary end stop, either internally or externally. Call 800-245-2163 for pricing & additional information. A stack section at one end of a runway serves as an extension that allows festoon carriers to be stored on the end of the runway without reducing crane coverage. 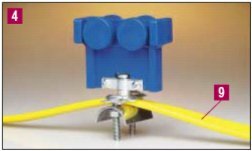 A flat cable festooning system is included in all Work Station Bridge Cranes. Plenty of cable is provided for 3 foot loops on the runway and 1 foot 6 inch loops on the bridge. Optional air hose is also available and is supported by optional festoon trolleys. 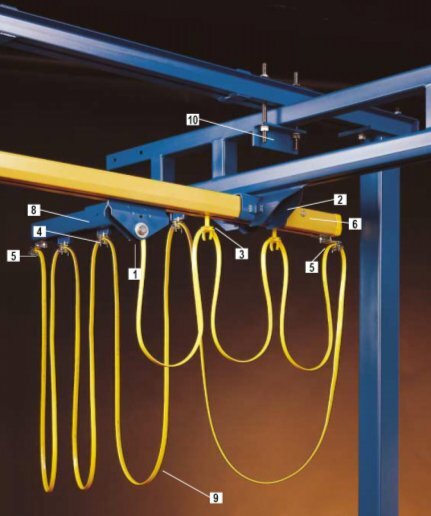 Work Station Cranes can utilize optional conductor bar electrification, but this results in an increase up to 40% of the amount of effort required to move the system. 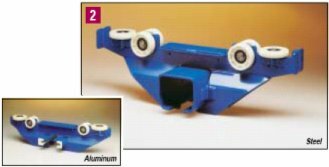 Each Work Station Bridge Crane is provided with the appropriate number of hanger assemblies, based on the number of support assemblies shown in this document’s dimensional pages.